Schadow1 Expeditions is a new blog. In fact, we are only about to turn just 2 months within this week. And so, 2013 will have an outlook of more travels to take, more mountain trails to map and roads and waypoints to cover. 2012 is a year where the rebirth of my mountaineering spirit has been observed. 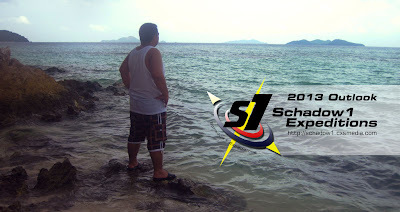 Turning my mapping spree for the Philippines in a more breathtaking and adrenalin-rushing way. From the usual mapping of new roads and highways and establishments for the past 7 years, I am now turning to mountains and volcanoes. However along the way as I go through the roads I travel, these would not be neglected and will still be mapped along the way. This is all to ensure that the Philippines will continue to be mapped and so all Filipinos whether abroad or in this country, will never be a stranger to his motherland. Hopefully this year, those mountains that are not yet mapped will be traced with traverse trails while those that were already mapped by mapping contributors/mountaineers will be updated into more detail. This will all be possible depending if my budget will allow me to cover more of them. And so, if anyone would like to join me especially experienced mountaineering groups and generous Filipinos who could fund me, the more mountains and roads I can cover. Early this year, I would start off somewhere at northern Mindanao and hope to cover more of the areas there as time and budget permits me. So my readers and fellow Philippine mappers, mountaineers and travel bloggers, join me, and let us continue our advocacy of mapping the Philippines and sharing the experience and sights of the country. May Filipinos wherever and Philippine tourists know how beautiful and diverse our culture and nature is! 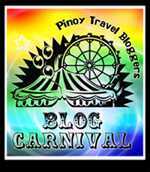 This is a Pinoy Travel Bloggers' Blog Carnival entry for January 2013. "New Beginnings" as hosted by Roj Braga of the Adventures of Adventuroj.